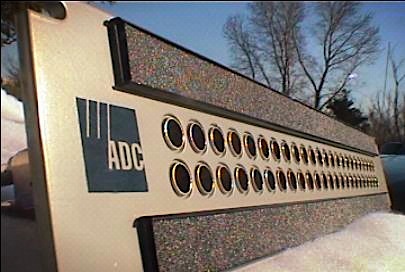 Used 19" Dual-Rack-Space two-row ADC 48 Point Video Patch Bay with BNC Jacks. 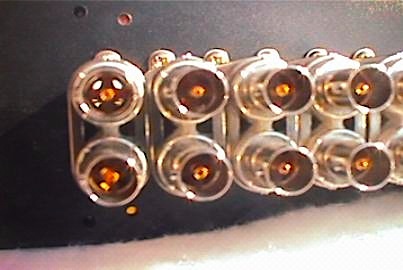 The PPI-2224RS-75N is a gray, 48 Point NORMAL TERMINATED Video Panel with the SJ2000N-75 super video jacks with 75 Ohm termination. These Broadcast Grade Video Patchbays are at home in any video environment such as Non Linear Editing, Post Production Suits, Broadcast Television, etc. 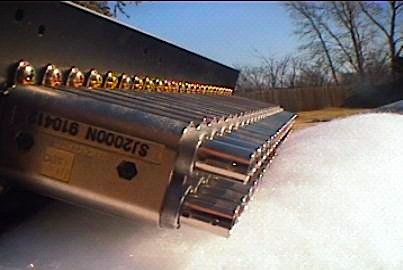 The Jacks are are good for signals up to 601 Digital Video. ADC's Super-jack family is designed for use in high data rate applications including SDI, L and S band satellite, D1 digital video transmissions including analog base band video * ADC's video jacks feature ultra wide bandwidth, RFI shielding, sealed switched and 75 Ohm performances.